To develop a real-time dose-monitoring system to measure the patient’s eye lens dose during neuro-interventional procedures. Radiation dose received at left outer canthus (LOC) and left eyelid (LE) were measured using Metal-Oxide-Semiconductor Field-Effect Transistor dosimeters on 35 patients who underwent diagnostic or cerebral embolization procedures. The radiation dose received at the LOC region was significantly higher than the dose received by the LE. The maximum eye lens dose of 1492 mGy was measured at LOC region for an AVM case, followed by 907 mGy for an aneurysm case and 665 mGy for a diagnostic angiography procedure. Strong correlations (shown as R2) were observed between kerma-area-product and measured eye doses (LOC: 0.78, LE: 0.68). Lateral and frontal air-kerma showed strong correlations with measured dose at LOC (AKL: 0.93, AKF: 0.78) and a weak correlation with measured dose at LE. 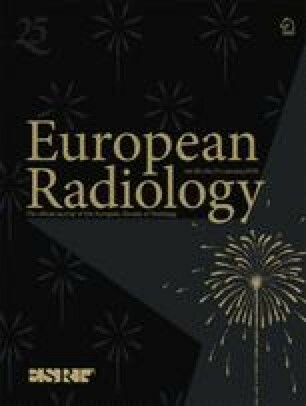 A moderate correlation was observed between fluoroscopic time and dose measured at LE and LOC regions. The MOSkin dose-monitoring system represents a new tool enabling real-time monitoring of eye lens dose during neuro-interventional procedures. This system can provide interventionalists with information needed to adjust the clinical procedure to control the patient’s dose. • Real-time patient dose monitoring helps interventionalists to monitor doses. • Strong correlation was observed between kerma-area-product and measured eye doses. • Radiation dose at left outer canthus was higher than at left eyelid. The authors acknowledge and thank the personnel at the following institutions for their technical support in this study: C.C. Lee and M. Mozaker, radiographers at the University of Malaya Medical Centre (UMMC) and K.H. Lam from Philips Healthcare Malaysia. The current research project was approved by the medical ethics committee of the University of Malaya Medical Centre (UMMC), no 1024.22. The scientific guarantor of this publication is Prof. Kwan-Hoong Ng. The authors of this manuscript declare no relationships with any companies whose products or services may be related to the subject matter of the article. This study received funding from a High Impact Research (HIR) grant, UM.C/625/1/HIR/MOHE/MED/38, account no: H-20001-00-E000077 and PPP grant, PG035-2013A from the University of Malaya. No complex statistical methods were necessary for this paper. Institutional Review Board approval was obtained. Written informed consent was waived by the Institutional Review Board. No study subjects or cohorts have been previously reported. Methodology: prospective, experimental, performed at one institution.